Contractors wishing to bid on the 365 Toll Project in Hidalgo County attend a mandatory pre-bid meeting on Oct. 17, 2017, at the McAllen Convention Center. The $168 million project is expected to begin construction in March 2018. A mandatory meeting held Tuesday at the McAllen Convention Center for all contractors who want to bid on a much-anticipated 365 Toll Project in Hidalgo County, packed the conference room. Understandably so, as this new 12.2-mile, $168.8 million toll road is expected to be the biggest transportation infrastructure project in Hidalgo County since Expressway 83 was built in the 1950s. 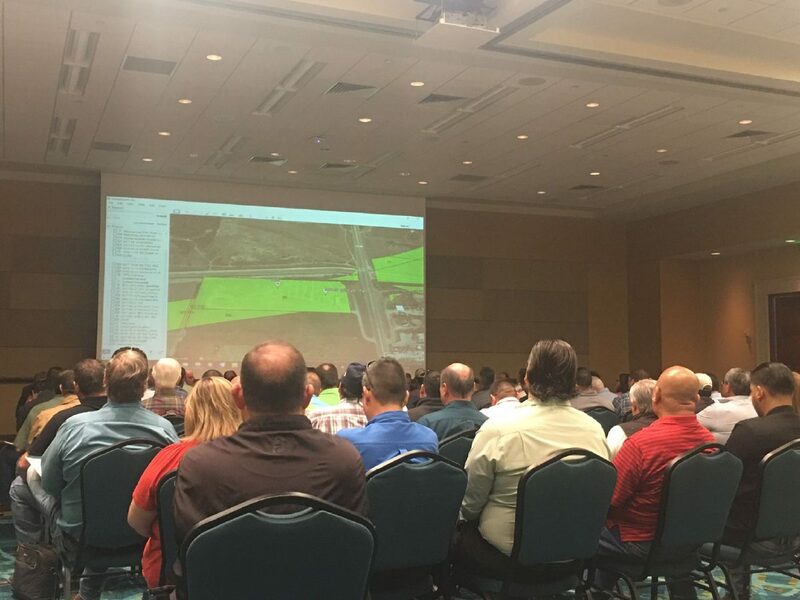 Hundreds of contractors from the Rio Grande Valley, Texas, and other states converged in the room to hear the rules laid out by the Hidalgo County Regional Mobility Authority (HCRMA) for bidding, all with the hope of landing this project. It’s a project that promises to forever transform Hidalgo County and, hopefully, will help accommodate the county’s explosive growth and its accompanying traffic, trade and commerce needs. We’ve been anticipating this project for many years and we are excited to see it finally get off the ground. An alternate commercial route — one expected to attract the bulk of heavy truck traffic — is sorely needed and long overdue to alleviate the region’s growing traffic. Recall that the HCRMA (which was then comprised of a completely different board) spent years developing an elaborate proposed 40-mile Beltway-like toll loop around the entire Rio Grande Valley region — to no avail. Those plans would have cost millions (maybe billions of dollars more) and despite spending $24 million of taxpayer funds in schematic designs, those plans never saw a single shovel in the ground. This new proposal is far shorter in length and scope, but seems much more manageable and, in particular, affordable and its goal is much needed: To help divert tractor trailer traffic away from local roads. We congratulate the current HCRMA board members and the Authority’s staff for streamlining the plans and moving this project forward. This new, 12.2-mile stretch called Phases I and II, is billed as a tolled express route from the vicinity of FM 396 and Military Highway near the Anzalduas International Bridge to near Las Milpas and the Pharr/Reynosa International Bridge. Once completed, we hope it will help reduce the hordes of agricultural trucks that stream through downtown Pharr and add to congestion on Expressway 83. If all goes well, construction could begin in March 2018 and the project is expected to be completed by September 2021, Pilar Rodriguez, executive director of the HCRMA told us. “We’re all go. It’s going to happen,” Rodriguez said. We hope so, as this road has been in the works since 2010 and our burgeoning Valley needs another expressway outlet to help alleviate congestion and allow our economy to grow.